Faculty and staff are welcome to attend the Christmas with Wartburg dress rehearsal Wednesday, Nov. 30, but a free ticket is required from the ticket office. The program begins at 5 p.m. in Neumann Auditorium. Come celebrate the Christmas season! Concert tickets for Dec. 2 in West Des Moines and concert and meal tickets for Dec. 3-4 in Waverly still can be purchased online at www.wartburg.edu/christmas, from 10 a.m. to noon weekdays at the ticket office in Saemann Student Center, or by calling 319-352-8691 during ticket office hours. Faculty, thank you for bringing service-learning opportunities to our students. Please consider showcasing the work being done in your classrooms as part of a special service-learning display during MLK Week in January. If you have final projects, posters, PowerPoints, or papers that you and your students are willing to share, please email Kristin Teig Torres or call 352-8709. You are cordially invited to grab your favorite treat in the Den and view the Study Abroad Photo Contest in the hallway on the lower level of Saemann Student Center. 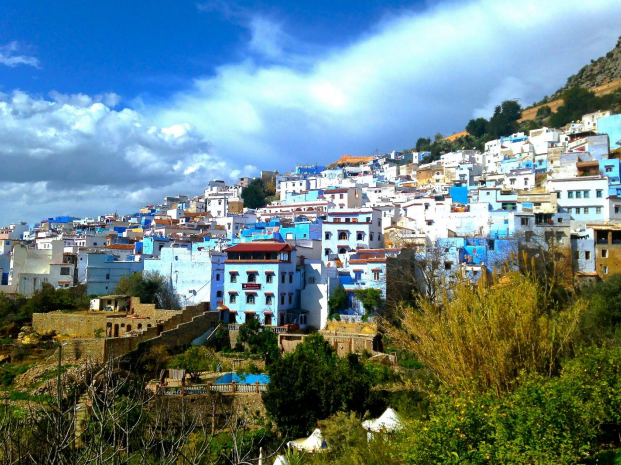 Current Wartburg students who have participated in a May Term Abroad or a Semester Abroad have entered their photos with accompanying essays describing their experiences. Come view the awe-inspiring photos and essays, and then VOTE for your favorite on Tuesday, Nov. 29, or Thursday, Dec. 1, from 8 to 9:30 a.m. and 1 to 3 p.m. both days. IS class members will be collecting toiletry items to donate to Cedar Valley Friends of the Family from Monday, Nov. 28, to Thursday, Dec. 1. Look for a donation box in Mensa. Specific items needed include toilet paper, paper towels, facial tissues, shampoo, conditioner, toothbrushes, toothpaste, and soap. Contact Karly Fitzgerald with questions. Stop by WBC 214 on Wednesday, Nov. 30, at 8 p.m., to learn more about Dance Marathon. We are hosting an all-dancer meeting open to any student on campus, no matter if you are registered or not. Come find out more about this organization, how to register, our mission, and how we raise money #ForTheKids. Thursday, Dec. 1, is Push Day for Team Iowa Dance Marathon. Team Iowa long-sleeve shirts will be on sale during lunch and dinner for $20! Stop by our table in the Student Center, and purchase your exclusive shirt. 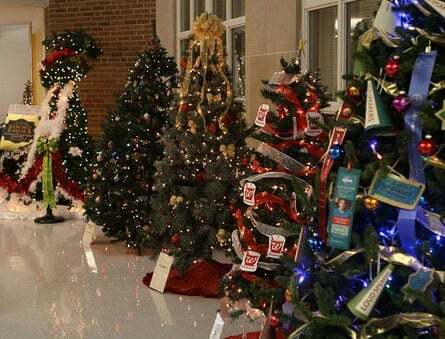 The Wartburg-Waverly Festival of Trees will brighten the first-floor hallway of the Classroom Technology Center from Thursday, Nov. 30, to Thursday, Dec. 15. It will be open to the public daily, 8 a.m.-9 p.m.
LS395 Leadership Insights: The American Family Insurance Experience is a P/D/F May Term course developed for highly motivated third- and fourth-year students who wish to observe and interact with the leadership team and members of the board of directors of a Fortune 500 company, American Family Insurance, with headquarters in Madison, Wis. The course is open to all majors with an interest in leadership and corporate social responsibility. Time will be split between the Wartburg campus and Madison. Enrollment is limited. Applications, due Friday, Dec. 2, are available upon request. Contact Dr. Fred Waldstein or Professor Kim Folkers for more information. The date for the December Presidential Forum has been changed from Dec. 6 to Dec. 8, at 7:30 a.m., in the Hagemann Castle Room. By taking a standardized test (ACT or SAT) and having their name purchased, or by sending their name to Wartburg when they take the test. By attending a Wartburg recruitment event (visit day, IPCW, etc. ), attending a camp, filling out a sport questionnaire, etc. By taking the initiative to submit their name to Admissions, requesting further information. Pastor Ramona Bouzard will give the message Sunday, Dec. 4, at 10:30 a.m. in the Wartburg Chapel. Invite a friend to join you! Faith and Life Groups are opportunities for students to share fellowship with other believers. There are multiple groups taking place at different times, places, and locations on campus. Click here to see more information about all of the Faith and Life Group meeting times. Dr. Kunihiko Terasawa, assistant professor of world religions, was an organizer for the Cedar Valley Interfaith Council’s Service of Prayer for Our Leaders on Nov. 13 in Waterloo. The Cedar Valley’s faith communities of Jewish, Muslim, Catholic, Protestant, and Eastern religion gathered together to pray for our elected leaders at the local, state, national, and world levels, asking for mutual respect and acceptance of diversity. Dr. Terasawa offered Tao Te Ching’s passage for meditation and a Buddhist prayer for the community at the service. A number of Wartburg students, faculties, and staffs also participated for community engagement and dialogue. Tony Lutz, ITS, earned third place for his “Reflections” photograph in the Amateur Photography category at the 36th annual E.H. Stumme Denver (Iowa) Public Library Art Show on Nov. 17. Students Madison Mix '17 and Ashley Anderson '18, along with research adviser Dr. Douglas Brusich, attended the Midwest Drosophila Conference in Allerton, Ill., Nov. 12-13. The conference is a regional gathering of biologists who work with fruit flies as their model organisms and share recent scientific findings. Madison and Ashley presented a research poster, Traumatic brain injury induces substantial mortality of Alzheimer’s disease-model flies and nuclear translocation of actin. Mix also recently was awarded a research grant from the Tri-Beta Biology Honor Society for the project, which aims to uncover a cellular stress mechanism thought to underlie neurodegeneration associated with Alzheimer's disease and traumatic brain injury. Funds from the grant will be used to purchase research supplies for the project. The late Cindy Carlson, who served as the president's administrative assistant for 17 years, donated her clothes to upperclass students through Cindy's Closet. The event was covered by KCRG and KWWL. The wrestling team beat Simpson 41-4, as reported by the Waterloo-Cedar Falls Courier. Jesse Kielman ’17 won a last-minute write-in campaign to become a member of the Bremer County Water and Soil Conservation District Commission, as reported by KCRG. IMPower, an empowerment program for young girls created by Jenna Haglund, visiting assistant professor of social work, was featured in the Waterloo-Cedar Falls Courier. Four professionals with Wartburg ties were honored recently among the Waterloo-Cedar Falls Courier's "20 Under 40.” Honorees included Felicia Smith Nalls '99, executive director of Nissan and Nalls; Brooke Trent '04, a lawyer at Trent Law Firm; Zak Montgomery, associate professor of Spanish at Wartburg; and Mark Hubbard '01, a financial adviser at Northwestern Mutual Insurance and football coach at Waverly-Shell Rock High School. The wrestling team is entering its season with an eye toward its 13th national championship, as reported by the Waterloo-Cedar Falls Courier. Millie Dieter ’55 was recognized by the Northeast Iowa Music Teachers Association for her 28 years of service to the organization, according to the Waterloo-Cedar Falls Courier.